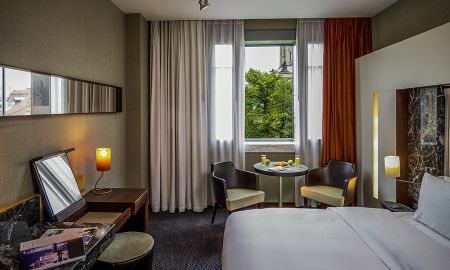 Hotel Sofitel Berlin Gendarmenmarkt welcomes guests to the world famous center of the city’s ancient French Quarter. 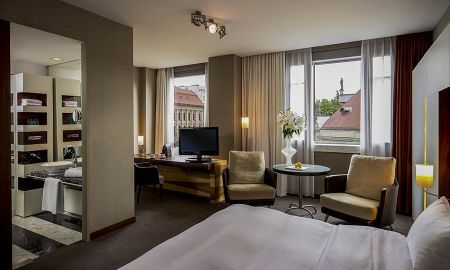 With a location second-to-none in Berlin, guests are invited to step into the bustling Gendarmenmarkt, with Friedrichstraße's luxury boutiques, the iconic French Cathedral and Konzerthaus merely a few minutes walk from the hotel. Venture into the heart of artistic grandeur in an area defined by passion and French art de recevoir. 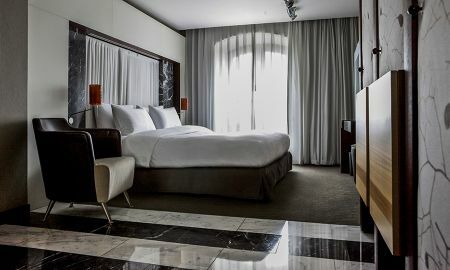 Harald Klein’s elegant designs create an unmistakable ambience of pleasure, filling the 92 rooms and suites with a sumptuous array of comfortable leather furniture, soft fabrics and glistening marble. 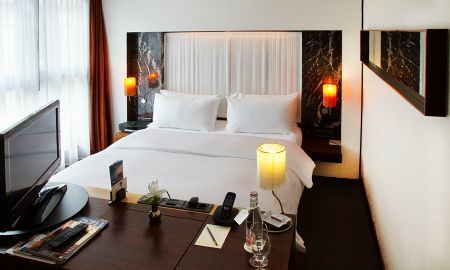 This accommodation is surely something luxurious for business and pleasure travelers alike. The hotel is known for its Delphinium conference room, which offers the latest and greatest in technology. A welcoming lobby beckons guests with original works by Ter Hell, infusing a sense of art and culture to the space. Indulge in Austrian cuisine at the hotel’s Aigner Restaurant, a well known establishment perched above Gendarmenmarkt. Pouring specialty beers and wines from restaurant’s private vineyard, Horcher, this is the perfect place to relax and enjoy a private sampling of the vine. Savor the buffet breakfast in a relaxed atmosphere in the Atrium Café, where local and international specialties make for a delicious start to the day. During the summer months, relax and catch sun rays on the terrace of the hotel’s spa. Venture into the historic center of Berlin in its ancient French quarter and throbbing Gendarmenmarkt. Take a quiet walk to the Reichstag, Brandenburg Gate, Checkpoint Charlie and Museum Island as well as Berlin's exclusive shopping street Friedrichstraße.